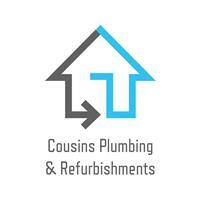 Cousins Plumbing & Refurbishments Ltd - Bathrooms, Kitchens, Plumber based in Maidstone, Kent. Cousins Plumbing and Refurbishments Ltd are a highly Professional family run business, we have been in the building trade for over 5 years. All our work is completed to an exceptional standard and is fully insured. We pride ourselves on our reputation, your happiness and our workmanship. We are not only here for now, we are here for the future. We will also be here with our outstanding aftercare service. Maidstone, Ashford, Aylesford, Waltham Cross, Kent, Canterbury.